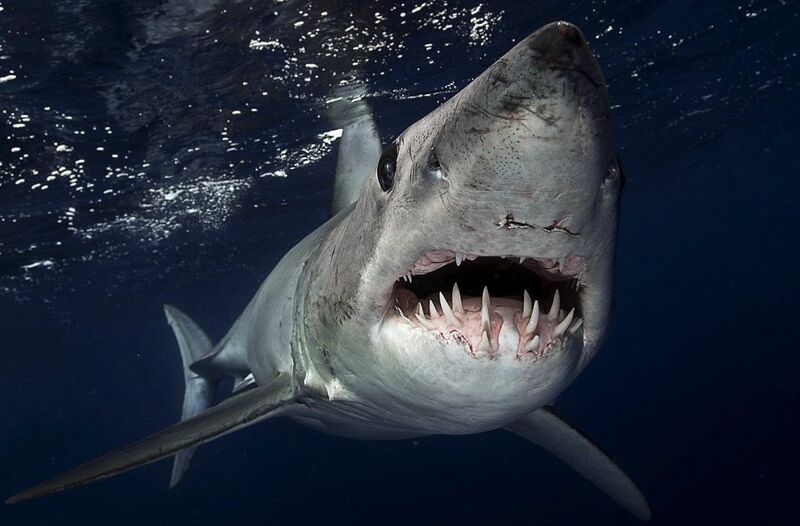 A shortfin mako shark can be every bit as dangerous as a great white shark, no question. So when this mako approached underwater photographer Sam Cahir with its jaws wide open, there was good reason to be a bit frightened. 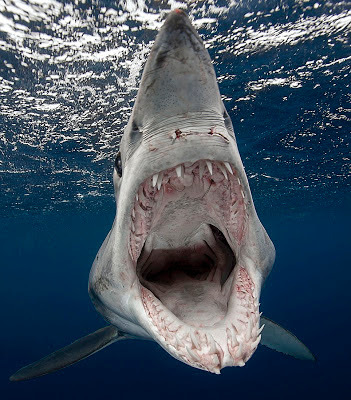 Cahir somehow managed to snap this incredible photo of the mako shark it full “attack” mode off the Neptune Islands, South Australia. Cahir was taking part in a great white shark tagging trip when the shark circled the boat for two hours. Cahir eased into the water to get photos. The mako apparently first scared off a great white shark before turning its attention to Cahir, seeing him as his next threat. The above photo of the shark’s jaws wide open was no doubt one of those shots. Sam said: 'When I saw the shark I couldn't get in the water fast enough to get some pictures. 'I couldn't believe what I was seeing up close. This Mako was audacious, bordering manic. 'At one point I had a Great White and a Mako circling for the tuna bait. The Mako literally browbeat away a Great White and not just any Great White Shark but a very large dominant male maybe six times her mass and twice her size - it was amazing. The shark eventually left without attacking Cahir after filling up on bait tossed into the water. The result: Awesome mako shark photos.